DIY: Mom & Me Journal! In the photo, Captain and I are BOTH inside my shirt.. 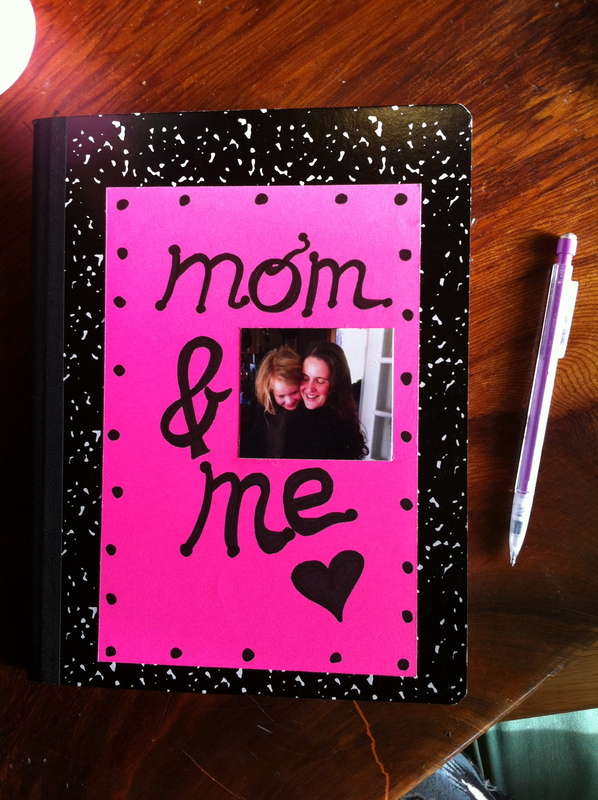 Here is our version of the “Mom & Me” journal! Basically, it is a composition notebook with a label on the front for you and your child to write notes, letters, share pictures, etc. 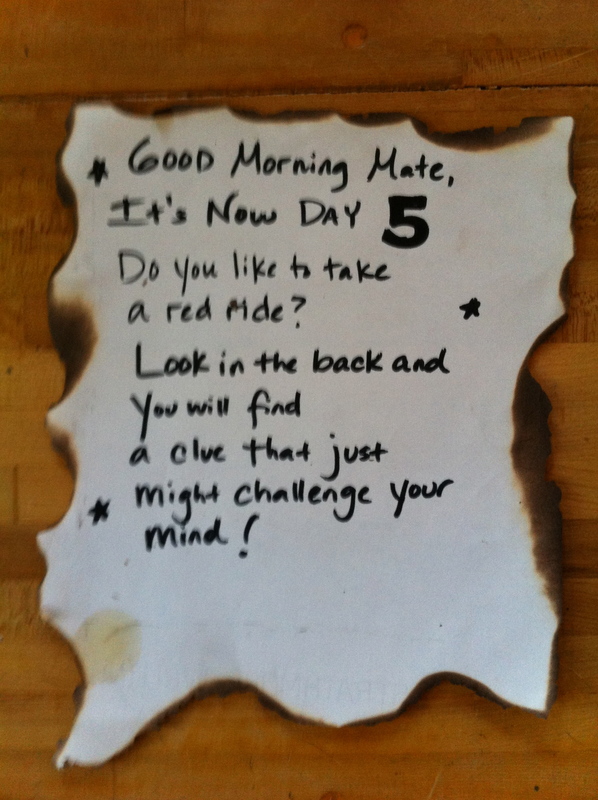 I made this one morning, wrote a note inside inviting Captain to share notes with me, anytime we feel like it, and left it on her bed. She was thrilled and sat in bed for a long time with a pencil, drawing pictures and writing notes. We have had it for about 6 months already and both love it. Sometimes we forget about it and a lot of time passes before one of us adds something to it, and that is just perfect. There is no pressure to do anything but tell each other little things… She has written notes to ask me to make her favorite dinner, which I love! There are so many “I love you’s” and pictures of our dogs. It is also surprising how some honest, hard to talk about, things can come up. There is something safe for kids to be able to write down some feelings and ideas that they have a hard time saying in person. They KNOW their mom (or Dad) will see it, but don’t have to talk about it, just yet. I do hope you try this. It is fun and pretty special. 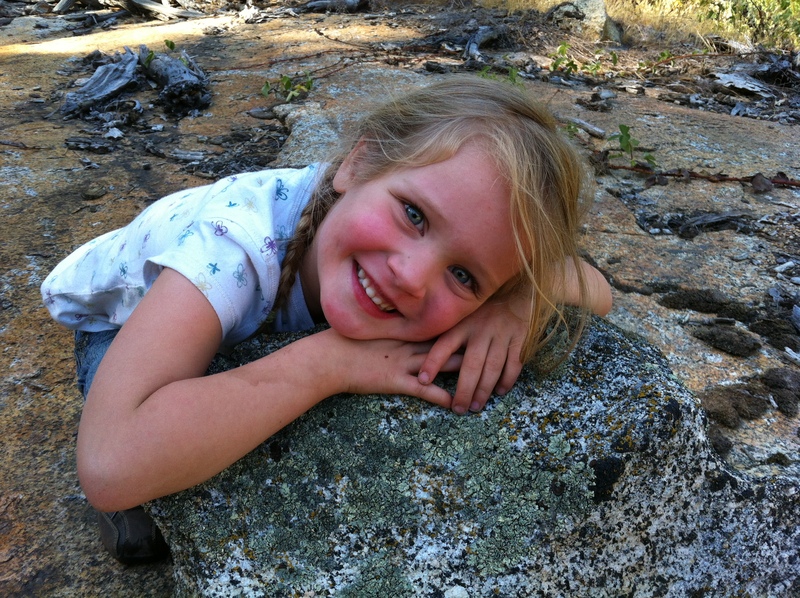 A Great Day to Hug a Rock! Good thoughts for a beautiful weekend to all! 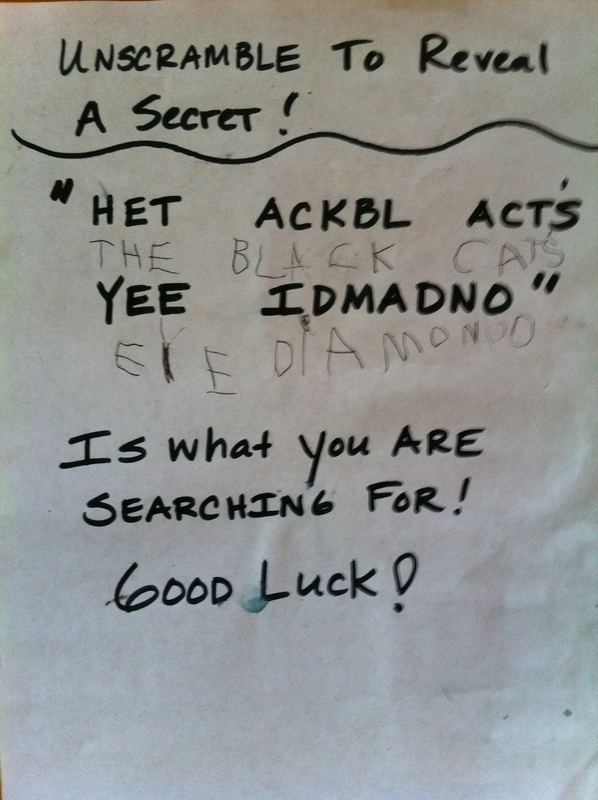 Plan an Exciting Treasure Hunt For Kids to Find The Mysterious Black Cat’s Eye Diamond! 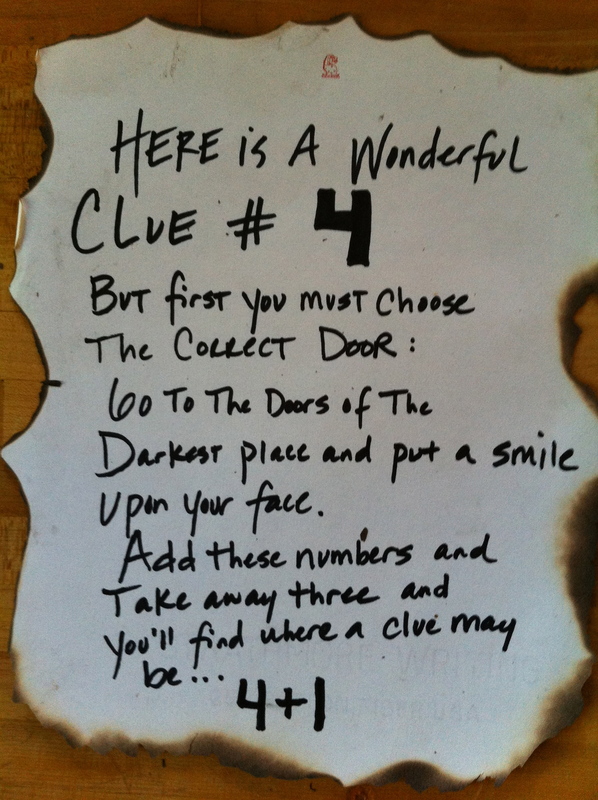 Every morning Captain raced right to the counter to find her main clue! She talked about it all week and was really into it. 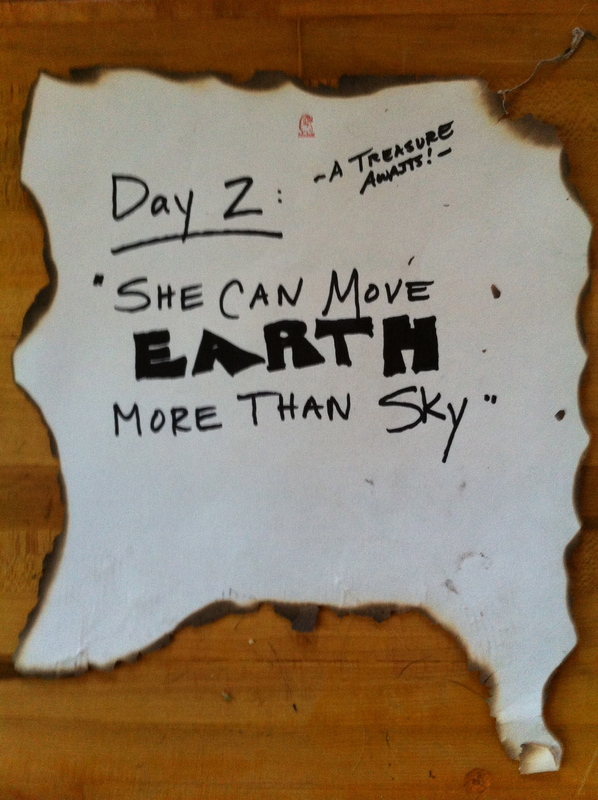 On day six, when she discovered the scramble clue that mentions The Black Cat’s Eye Diamond, she was almost too excited to sleep…. 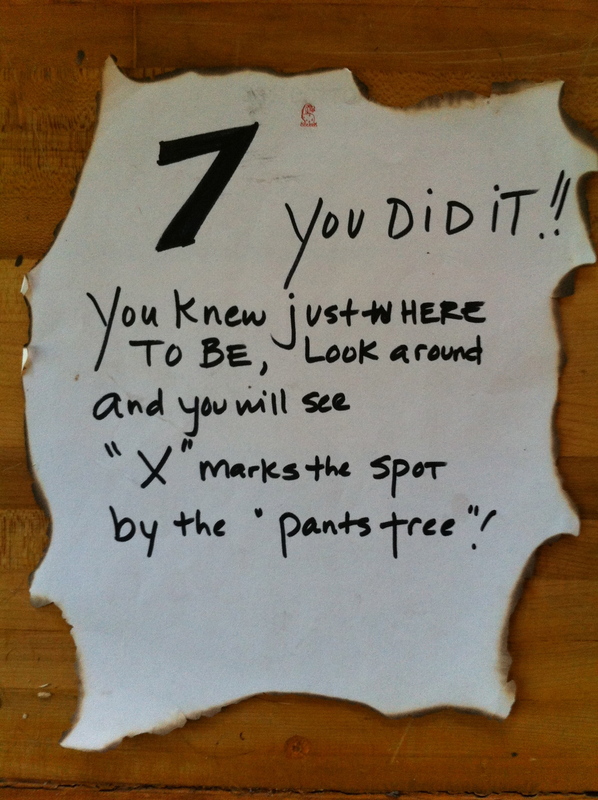 For the 7th day main clue, guide them to the place where “X” marks the spot. 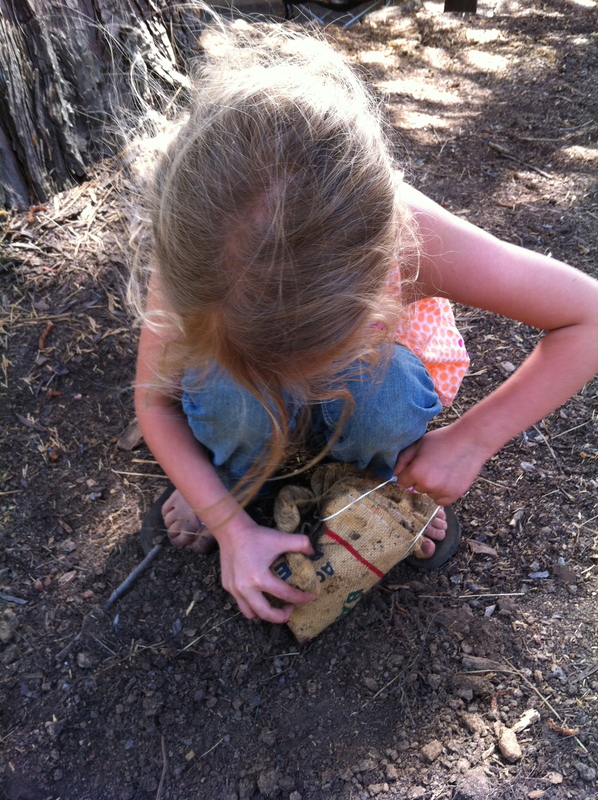 Basically I dug a hole and buried the jewel in a burlap sack that was tightened with twine into a bundle. 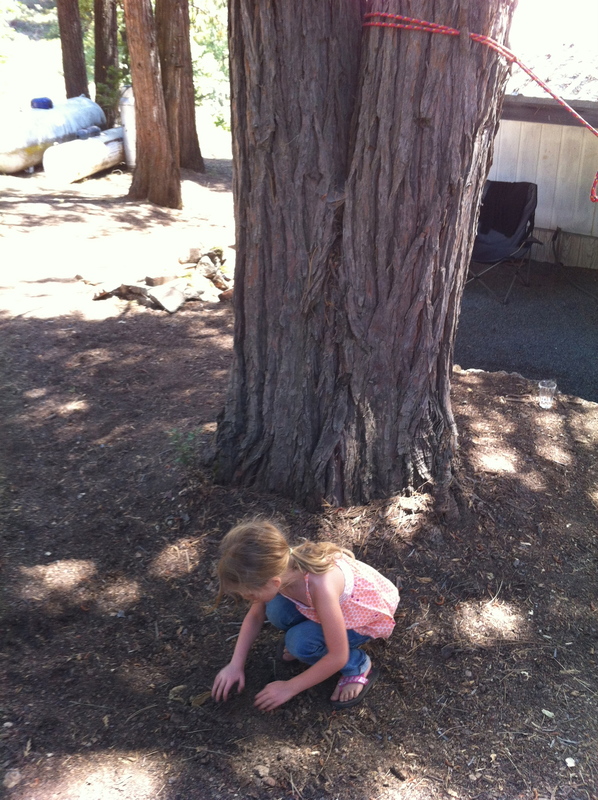 (Kids love little realistic details, and when she uncovered a dirty ball of burlap, she gasped.) 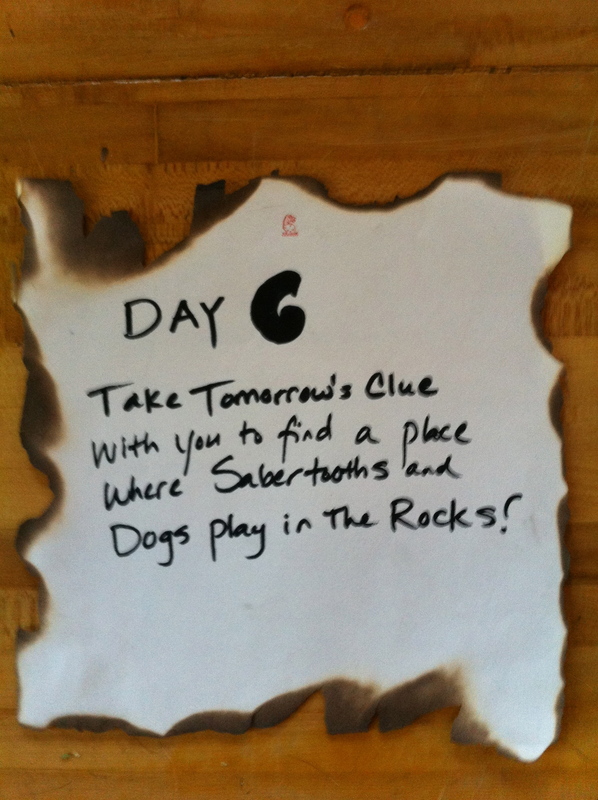 I covered the treasure with two sticks shaped into an “X”. It’s real! 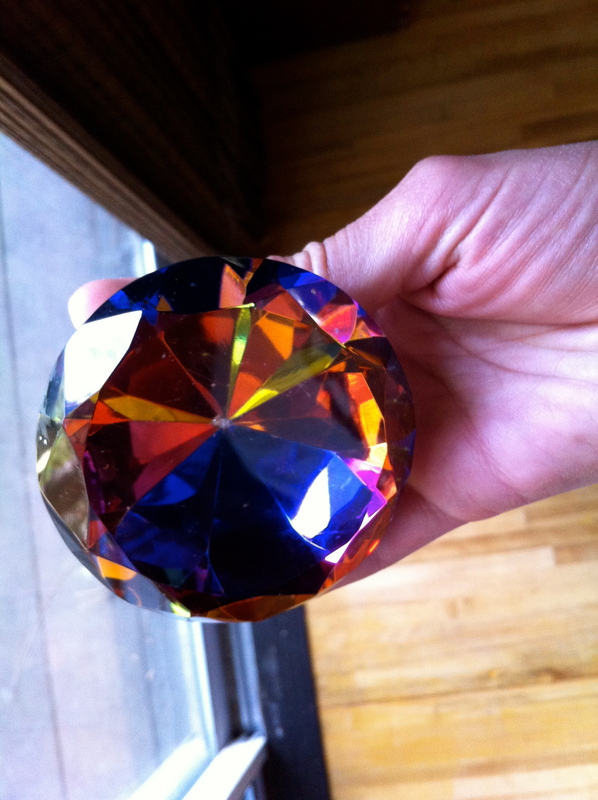 The Black Cat’s Eye Diamond is REAL! 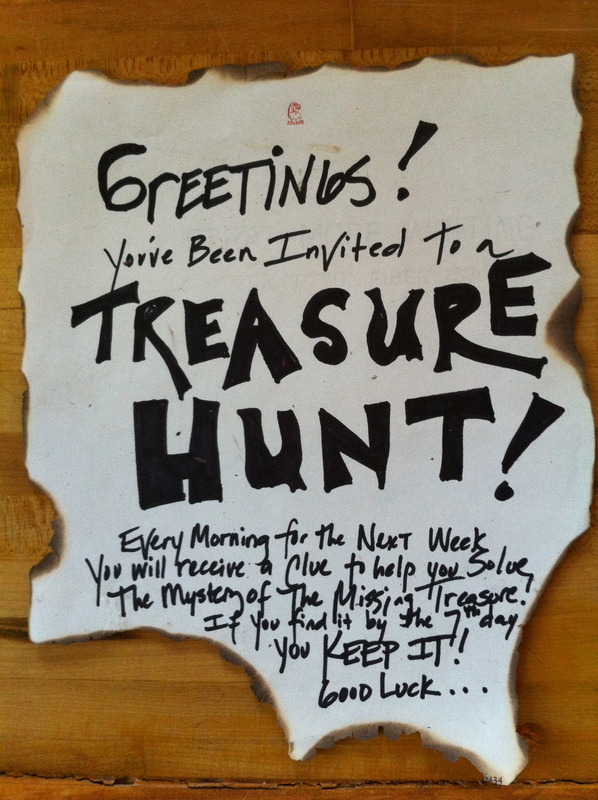 If you decide to plan a treasure hunt for your kids, I would LOVE to hear about it. What treasure would you use? What would you name it? 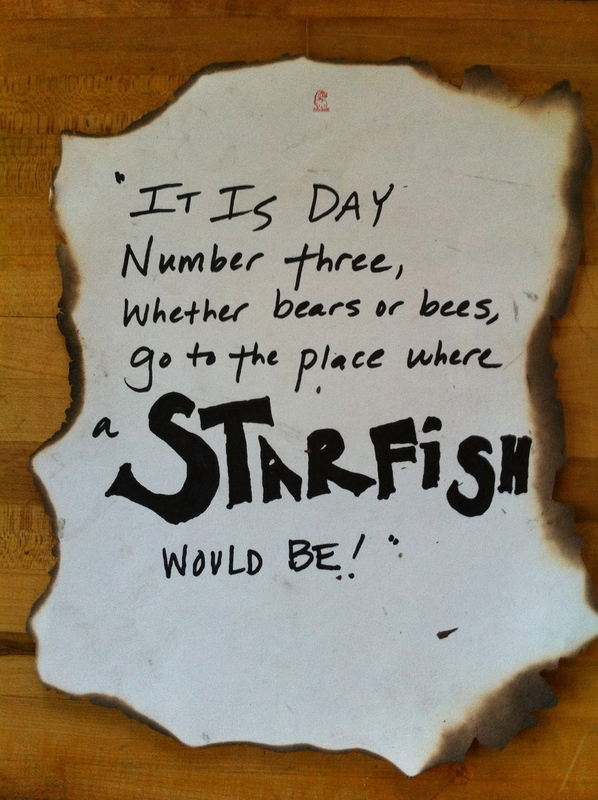 Until then, happy adventuring. 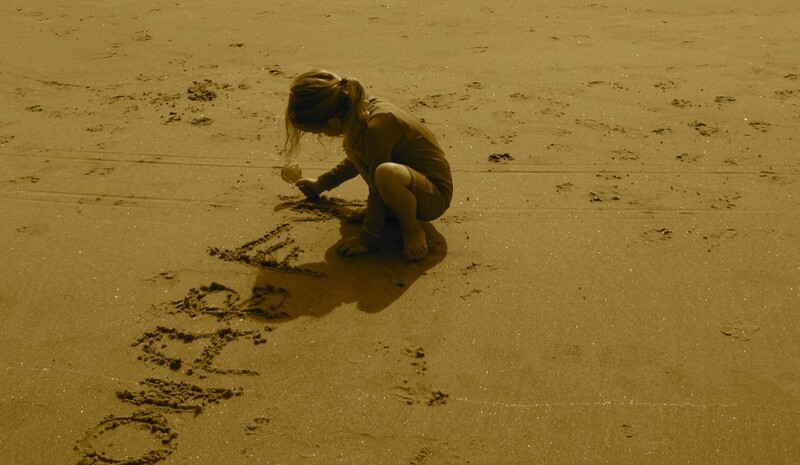 Remember being a kid during the summertime? These days of magic end so quickly. I try to remember to scoop them up, close to my heart. 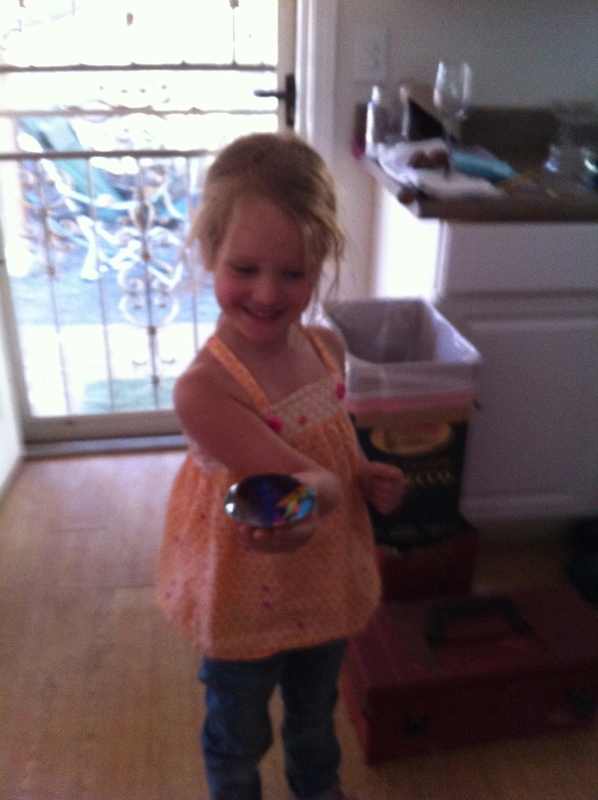 Some day I will wish that I could plant jewels in the ground and go treasure hunting with my sparkling child. For Balance, Tricks and FUN: Slacklining Rocks! 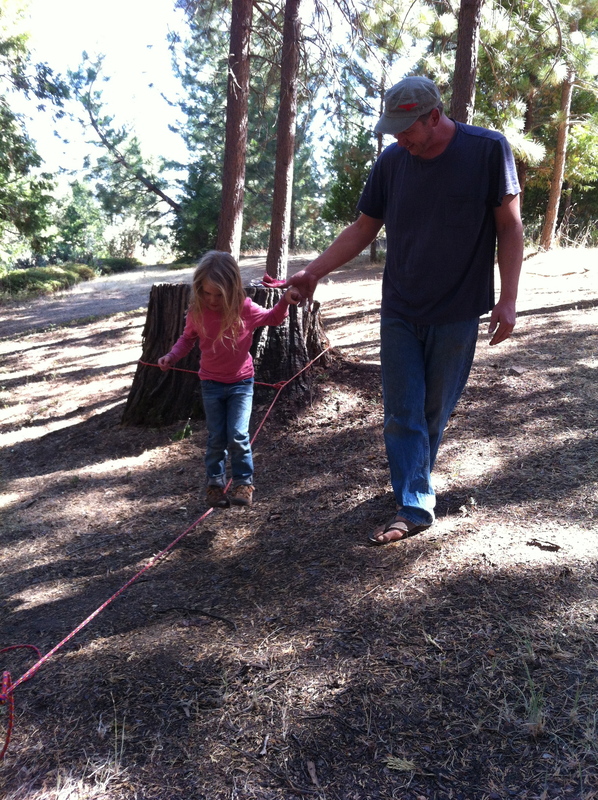 If you have two suitable trees, springtime is awesome for setting up a slackline for the kids (and big people too!) 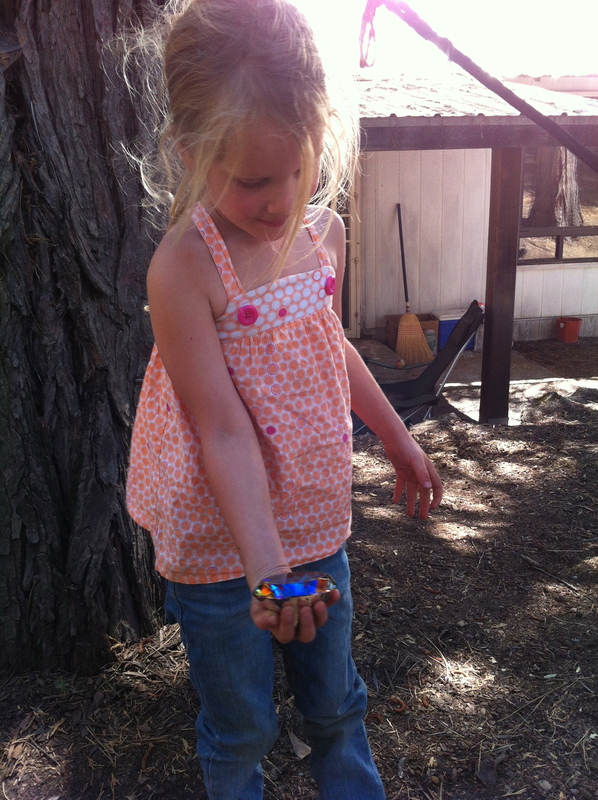 It is simple to do, and we couldn’t believe the difference in muscle tone our kiddo had after about a week of playing on this one. 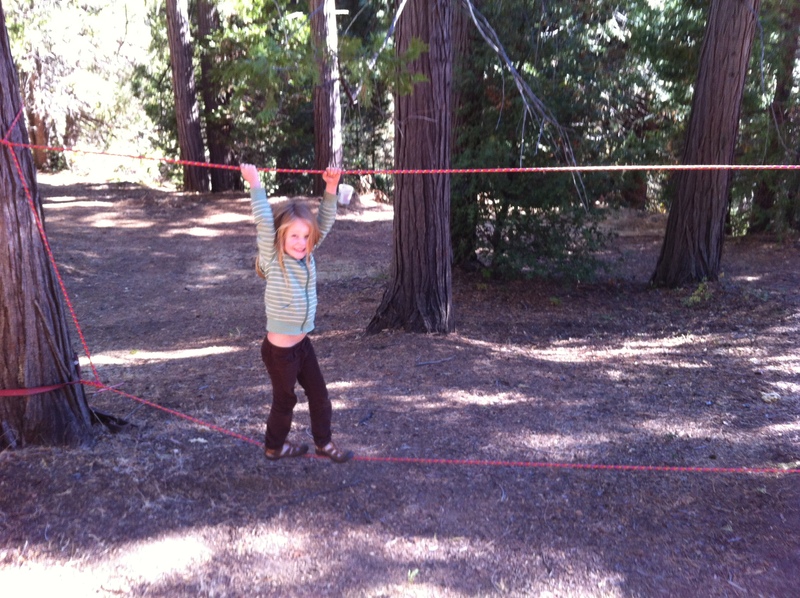 Balance, coordination, and self-esteem are all stimulated in a beautiful way with a slackline. We had a roll of sturdy, nylon rope that we had gotten at a discount tool place (Harbor Freight Tools in CA) for about 8 bucks. We strung one line between 2 trees (it is recommended that they be at least 8″ in diameter) and held Captain’s hand as she would wobble across. It dawned on us that she needed a second line up above her, to hang onto so she could play independently, and voila!, she was ripping across it, bouncing and jumping all by herself. The first few nights after playing on it with the 2nd line she did complain that her sides and legs were hurting, and we realized it was because she was using so many muscles in her legs and torso, neck, arms, well everything. It is truly great exercise and fun, fun fun! I recommend reading this bit from Wikipedia, if you don’t have another source to look at. They share a lot of of info and ideas and also recommend using a wider strap instead of the rope, as it is easier to walk on and you can build up to doing more tricks etc. For now, we had the rope on hand and are going to stick with it, but we will probably graduate up to a strap when she is ready to play around without holding the upper rope. This is great for body and soul!! Without a lot of research, it looks like slackline kits start at about 45 bucks. Like I said, we may go for the better strap at some point, but for now, it’s a DIY-with-what’s-around thing, and it is working great! If you don’t have the trees available, it would be worth finding a friend or neighbor who does. It is fantastic! Spring is in the air and getting outside is what it’s all about! Kids Road Trip Keepsake: Postcard Photo Book! On our last big road trip, Captain enjoyed collecting keychains as we drove cross country. Mom and Dad also get her one when we go somewhere, and it’s fun because we always end up talking about the places we have been because of the souvenirs we have collected. One time, Captain’s dad went to Amsterdam and because of the keychain he brought back, we ended up doing a little homeschool unit on Holland and learned a bunch of cool stuff! On this trip, we knew we wouldn’t be stopping a lot to do adventurous things, as we are trying to get cross country quickly, so we decided to try something new. I purchased a little 4 x 6 album for less than a dollar and we have found that the small postcards (barely) fit in it and have been collecting them along the way. 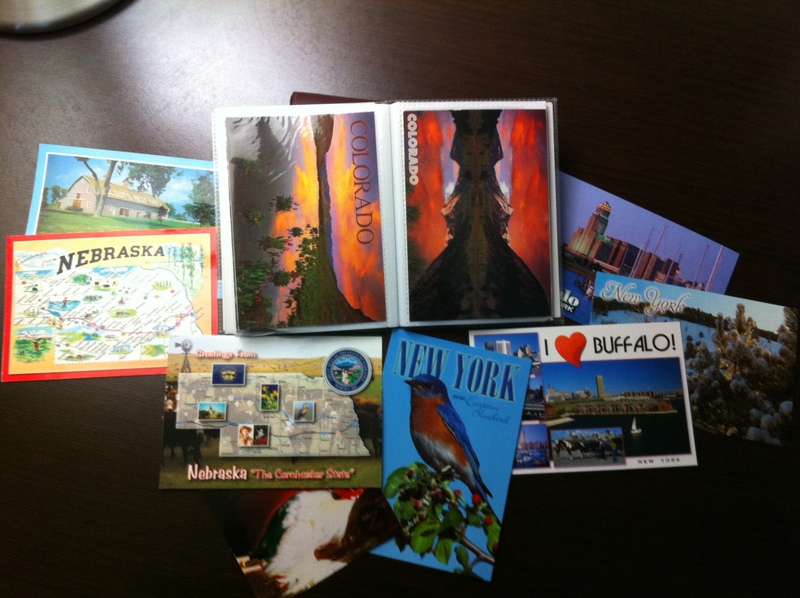 The book is full of fun postcards from California all the way to New York. We missed a couple as not as many places sell postcards as they used to, but it has been an inexpensive, delightful way to make a little keepsake book of our trip. I would LOVE to hear of more ideas for fun activities on the road! A couple of my plans were failures, like bringing a small roll of aluminum foil to color on and make little animals out of. Captain was very clear that this was NOT a good idea… But, she did remind me to take the big ball of foil out of the trash bag and put it into the recycle bin and that was success all on its own!